My firm has been helping construction and project-based manufacturing companies turn financial chaos into clarity and profitability since 1994. Job costing for construction is a niche that is challenging but also very rewarding. If you’re interested in specializing in construction accounting, see my #RecipeForSuccess below. What is a #RecipeforSuccess? It’s a campaign that provides key ingredients and steps for accounting pros and their small business clients to achieve success. Search “recipe” on this site for similar articles. Master Chef: Diane Gilson, CEO, Info Plus Accounting, Inc.
Internal Bookkeeper (or owner’s spouse) open to learning new ways of using QuickBooks. Step 1: Obtain an understanding of the industry and requirements. Prepare for a successful outcome by becoming familiar with the various types of construction companies, and the unique needs of each. Contracted services, such as drywall, framing, plumbing, heating and cooling, electrical. Handyman companies: They perform very specific “fix-it” projects for individual homeowners. Custom home building: They contract with individuals to build their homes for them. “Speculative (Spec)” home building: They finance, build and, ultimately, sell homes. They may do five to 25 homes per year. Production builders: These companies are similar to spec home builders, but they normally build homes or multi-unit buildings on a much larger scale. They may build 25 to 150, or more, homes per year. Land development: These are often separate legal entities created for the purpose of purchasing and “developing” land so that lots can be sold for building. Management companies: Typically handle rentals and maintenance on behalf of owners of buildings that are rented out. Short-term invoicing needs (suitable for construction business types 1, 2 and 8 above). How long-term contract income should be recognized and accounted for (either completed contract or percentage-of-completion) – normally applicable to construction business types 3 and 4, as listed above. How spec, production and development costs should be recognized, allocated and accounted for. Be willing to learn how to work with construction company owners and their staff to fully understand their management reporting needs. You’ll find that companies within the same construction category (e.g., remodeling) may also handle various aspects of their operations in unique ways. One company may perform only “Fixed Price” work. Some may use “Cost Plus” invoicing. Other companies do combinations of construction types, invoicing and/or income recognition methods. Certain companies may require upfront deposits. Various companies may invoice based on contract terms by job stage. Others may work with accounts receivable or accounts payable retainages. Check existing file size. Discuss how job costing (especially if payroll is involved) will quickly expand file sizes – and that they may, sooner or later, wish to use Enterprise. Determine if they can modify or “remodel” their current chart of accounts and item list, or if, alternatively, they should start with a clean new file. Find out if they wish to use estimates in order to see variance reports. Determine if they wish to use purchase orders. Inquire as to whether they intend to use any third-party “plug-in” apps. If yes, determine that they will work properly within the design that you will be developing. Find out if they have direct labor employees that they would like to include in job costs. If so, determine which payroll service they are using, and if they are not using Intuit, would they be willing to shift to Intuit Enhanced or Assisted payroll (Other payroll systems can be job-costed, but require additional manual data entry)? Be sure that your client understands that, depending on their availability to make decisions and modify operations, it could take a period of time to implement the changes required for a job costing system. After agreement on desired outcomes and specific steps, add target dates and determine who will be in charge of achieving each of the “conversion” steps. Be sure to allow additional time for unforeseen contingencies. Step 3: Proceed with the design of a new file structure, or the redesign of your client’s current file structure. If working in a current file, make frequent backups. If working in a new, separate file, change the company color so that everyone involved can clearly see which file they are working in. Work through desired changes in the chart of accounts, item list, customer-job list, customer type Llst, and other related or supporting QuickBooks lists. Make test entries to be sure that everyone (accounting staff through owner level) is OK and “on-board” with the new way of data entry and reporting. Make sure that the accounting staff is trained in, and understanding, the new system. If front-line (direct labor) employees will need to change how they report time, or will be paid in a new way, provide as much lead time and training as possible. Step 4: “Go live” (i.e., implement the new system). Select a target date (quarter-end or year-end is ideal). Accounts Receivable and Accounts Payable are accurate. Bank, credit card and loan accounts have been reconciled. The file passes data integrity checks. You coordinate to be sure that payroll services will proceed without problems. Step 5: Perform ongoing month-end closing procedures. The business owner – and others who may need to know how the business is performing (e.g., bankers, bonding agencies and tax preparers) – rely on the accounting system for critical information. With the broad range of elements involved in job costing, and the often highly-pressurized environment in many construction offices, it’s nearly impossible for accounting staff to initially enter every transaction perfectly. That means, as both a preventive and detective control, you will want to develop a comprehensive set of month-end closing procedures for yourself and/or for your client. To provide meaningful, useful job cost reports, you will need to be sure that all job costs have been assigned to jobs. Additionally, you will typically need to make a variety of adjusting entries in order to achieve accurate balance sheets and profit & loss reports. You will also want to check back with the company owner and staff on a regular basis to see if they are using their reports, to help them understand the information they are now receiving from their system, and to determine if they would like to implement any additional changes or upgrades. Following three years in public accounting (CPA license), and 13 years in banking (Certified Internal Auditor designation), Diane Gilson founded Info Plus Accounting, Inc. in 1994. As one of the first Certified QuickBooks ProAdvisors® in 1997 – she has earned all certifications available since then as Advanced Certified ProAdvisor, Enterprise Certified ProAdvisor, and QuickBooks® Online Certified ProAdvisor. Diane is also an Intuit Premier Reseller. Through Info Plus Accounting, she helps construction and manufacturing companies throughout the U.S. customize QuickBooks Pro, Premier, and Enterprise desktop software to consistently provide the job-cost and management accounting reports they need. 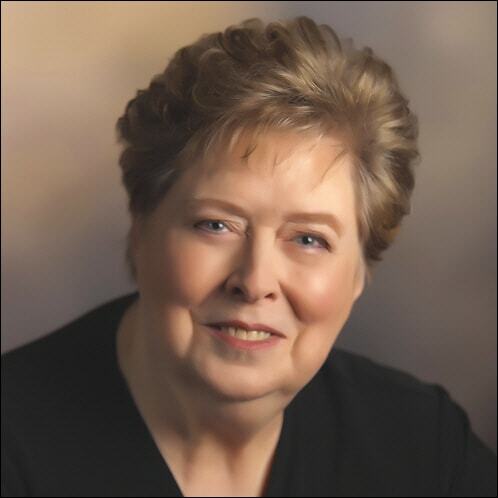 Through personal presentations, and via Internet connectivity, she works hand-in-hand with hundreds of company owners and their team members, as well as with other accounting professionals and consultants throughout the U.S. Diane has also created an extensive set of online training classes for QuickBooks Construction and Job-Cost Accounting as well as a variety of user-friendly accounting support products including Accounting PRO™ (a prebuilt QuickBooks construction template), Month-End Closing Procedures , and the eCPA (employee Cost & Pricing Analyzer) © labor-burden calculator).